Margaret Bourke-White: You Have Seen Their Faces: Little boy and hound dog, 1936 Gelatin silver print ©Time Inc.
FORT WORTH, TX.- On October 2, the Amon Carter Museum of American Art presents American Modern: Abbott, Evans, Bourke-White. This special exhibition explores the work of three of the foremost photographers of the twentieth-century and the golden age of documentary photography in America. American Modern will be on view through January 2, 2011; admission is free. 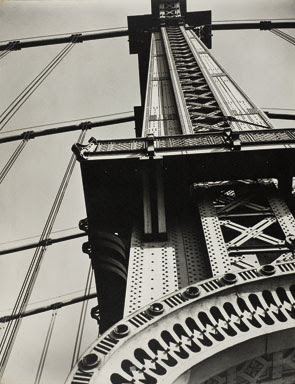 Featuring more than 140 photographs by Berenice Abbott (1898–1991), Margaret Bourke-White (1906–1971) and Walker Evans (1903–1975), American Modern was co-organized by the Amon Carter Museum of American Art and the Colby College Museum of Art in Waterville, Maine. The exhibition is the result of a unique partnership between three curators: Jessica May and Sharon Corwin of the Carter and Colby, respectively, and Terri Weissman, assistant professor of art history at the University of Illinois, Urbana-Champaign. Together, the three curators present the works of these three artists as case studies of documentary photography during the Great Depression and demonstrate how three factors supported the development of documentary photography during this important period in American history: first, the expansion of mass media; second, a new attitude toward and acceptance of modern art in America; and third, government support for photography during the 1930s. 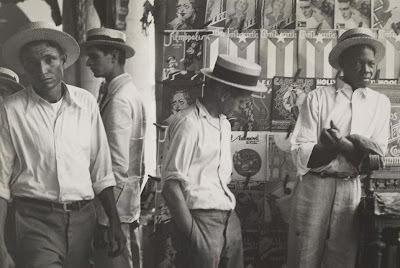 Walker Evans (1903–1975), People in Downtown Havana, 1933. 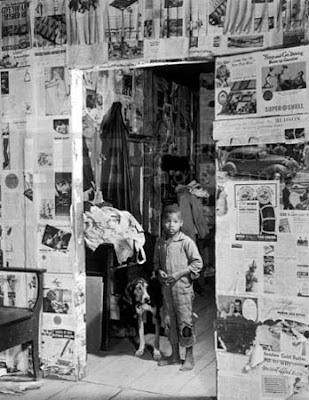 Gelatin silver print © Walker Evans Archive, The Metropolitan Museum of Art. More from the Amon Carter Museum here.